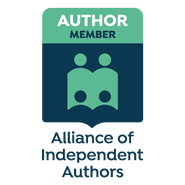 Yes, indeed, dear readers — blogosphere followers, it is a two-for-one weekend. 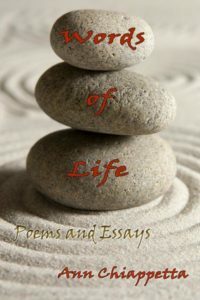 Thanks to Ann Harrison-Barnes and Sally Cronin for helping promote my newest book, WORDS OF LIFE: POEMS AND ESSAYS C2019. Feel free to Re-blog, tweet, and share and thanks very much for all the support. Visit www.annchiappetta.com for more about me or go to www.dldbooks.com/annchiappetta/ for all eBook and print purchasing links to all my books. New Rochelle author Ann Chiappetta publishes WORDS OF LIFE: POEMS AND ESSAYS. It is the author’s third independently published and self-promoted book. The collection combines poems, essays, and flash fiction drawing upon life’s vicissitudes, including nature’s beauty and cruelty, the foibles of relationships, the love of family, and the unconditional regard and respect for the author’s guide dogs. The book is available in e-book format for $3.99 and in paperback for $9.95 from Amazon and multiple other online booksellers. Go to Chiappetta’s author’s page, http://www.dldbooks.com/annchiappetta/, for book buying links and to read an excerpt. Chiappetta’s books were edited and prepared for electronic and print format by DLD Books Editing and Self-Publishing Services: http://www.dldbooks.com/ . Chiappetta’s book signing dates, planned for later in 2019, will be announced on her website, www.annchiappetta.com. To book Chiappetta as a guest speaker, go to www.annchiappetta.com. Ann Chiappetta, M.S., is an author and poet. Her writing has been featured in many small press publications and collegiate journals. Ann’s nonfiction essays have been printed in Dialogue magazine, and her poems are often featured in Magnets and Ladders. Her poetry is also included in Breath and Shadow’s 2016 debut anthology, Dozen: The Best of Breath and Shadow. Her first collection, UPWELLING: POEMS (C 2016) and FOLLOW YOUR DOG: A STORY OF LOVE AND TRUST (C 2017), are available in both e-book and print formats from http://www.dldbooks.com/annchiappetta/ .